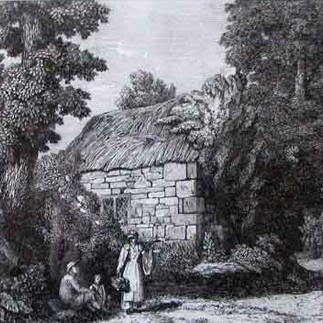 William Alexander (1767-1816) was an English artist. 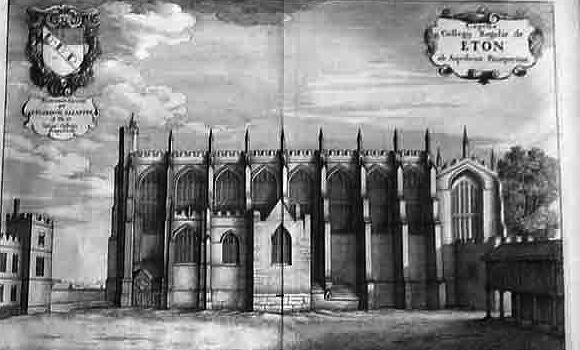 William Alexander was the son of a coachmaker in Maidstone, Kent. 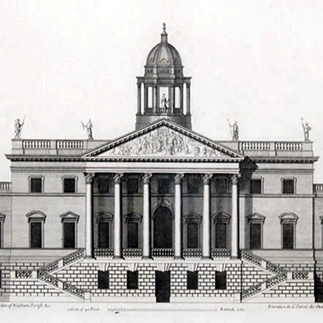 In 1784, he became a student of the Royal Academy, from which time until 1792, when he was appointed one of the draughtsmen to the Macartney Embassy to China, he applied himself to study , and obtained the notice of Sir Joshua Reynolds. 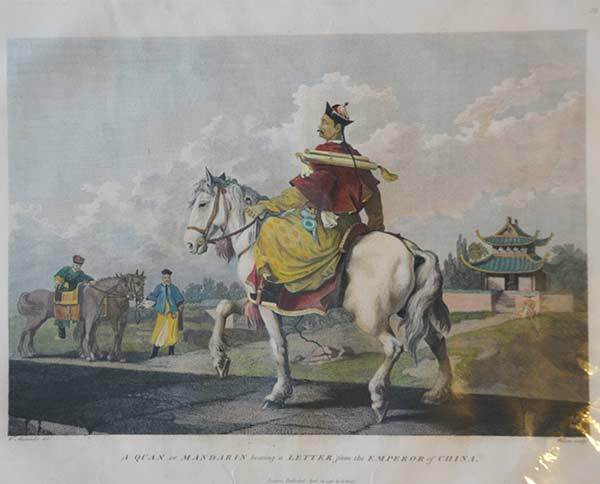 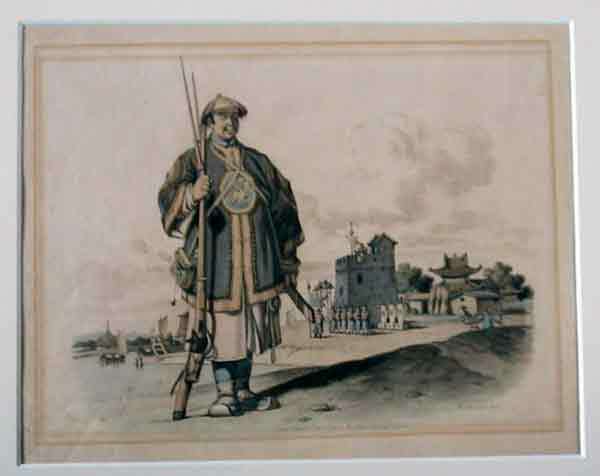 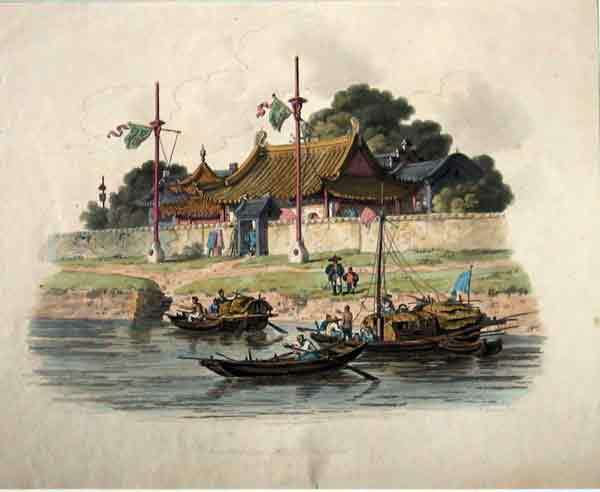 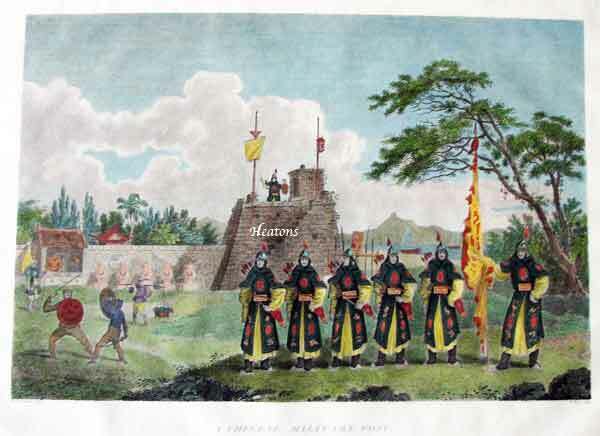 From 1792 to 1794 he accompanied Lord George Macartney's official embassy on behalf of the British government to Beijing, where he documented the visit and made drawings of the Chinese court. 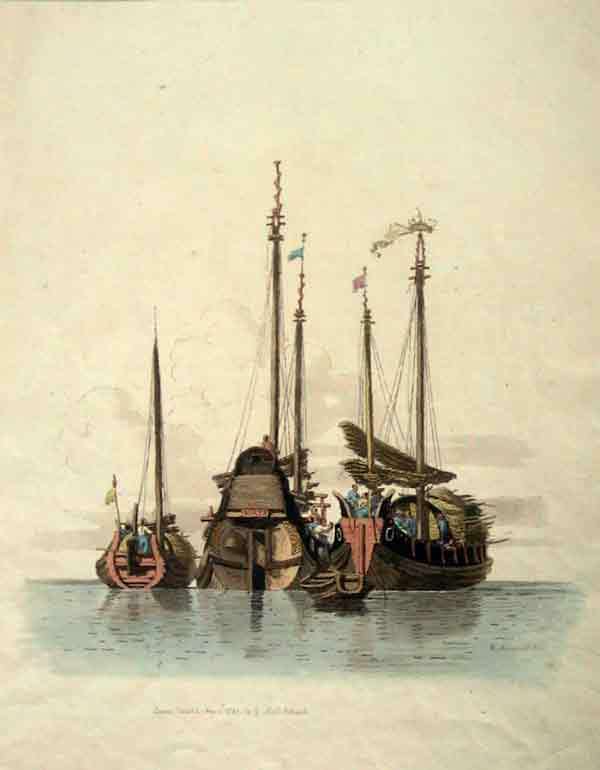 In 1802 he was named professor of drawing at the Royal Military School, and later served as curator of drawings and prints at the British Museum. 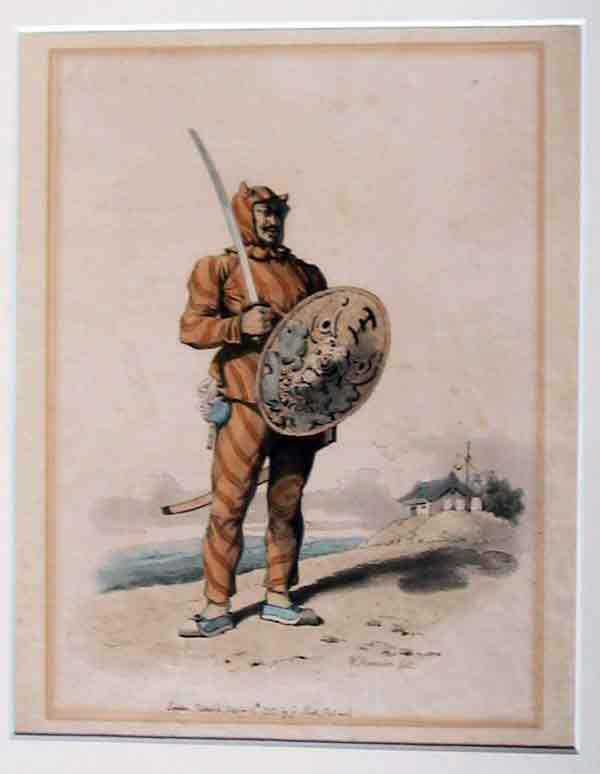 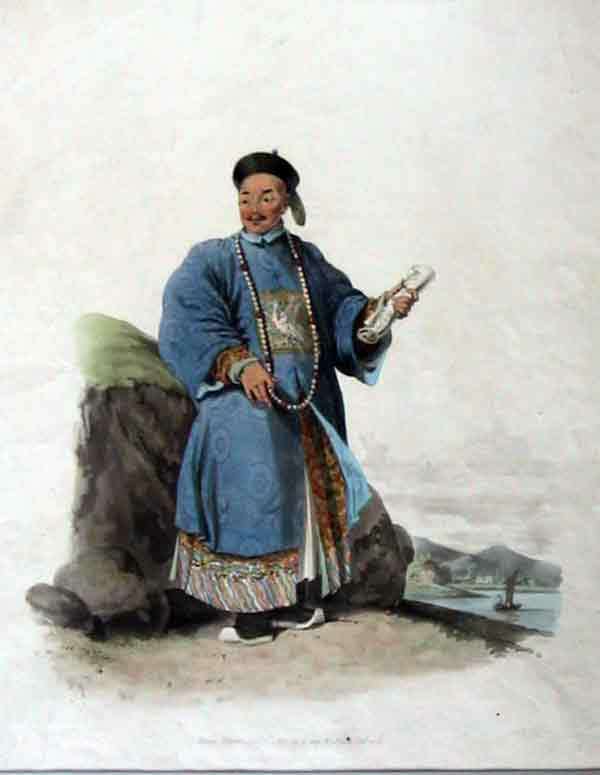 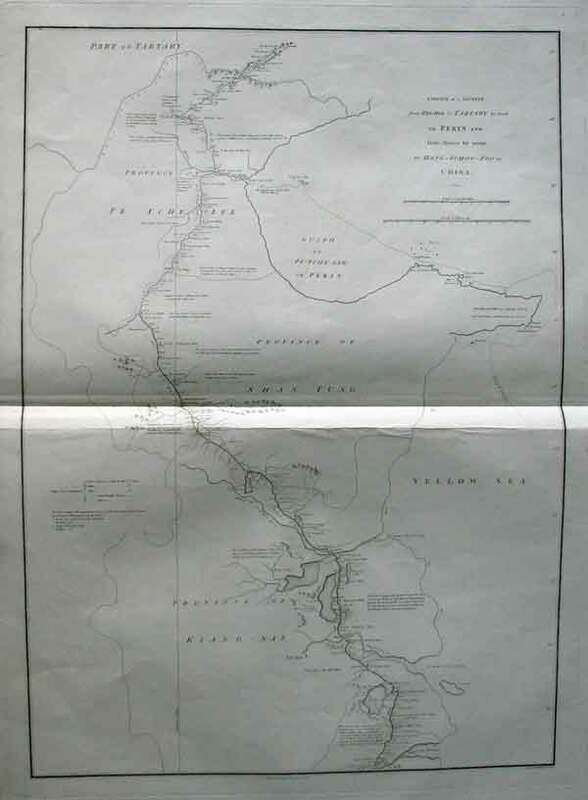 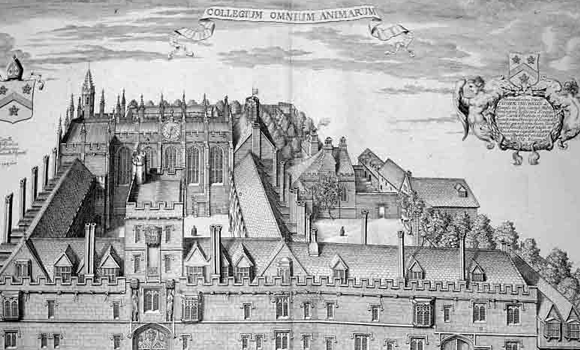 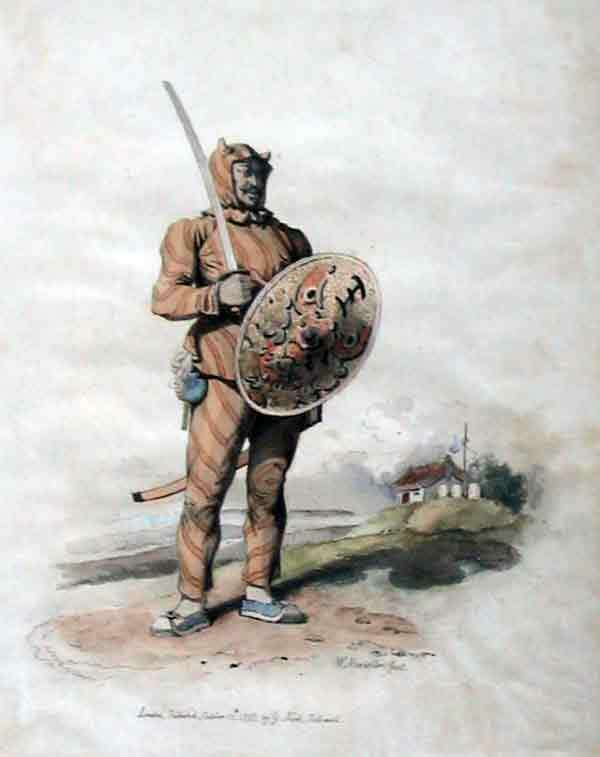 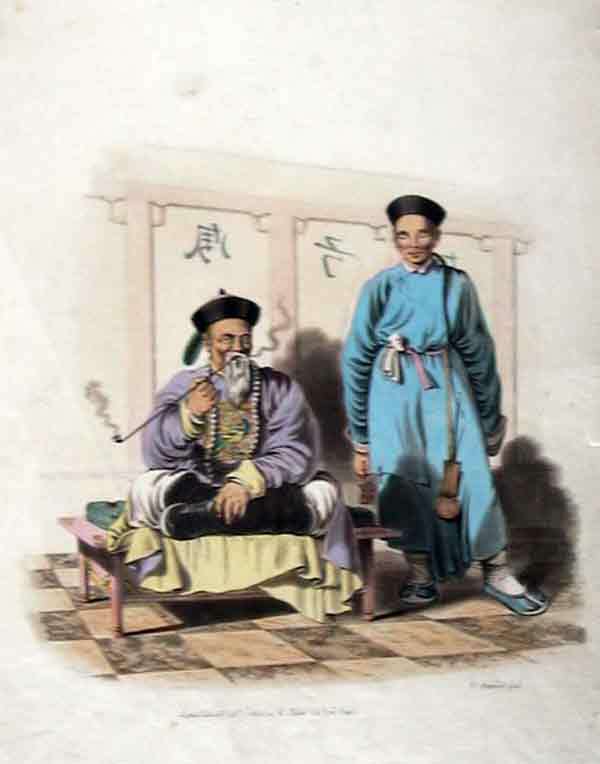 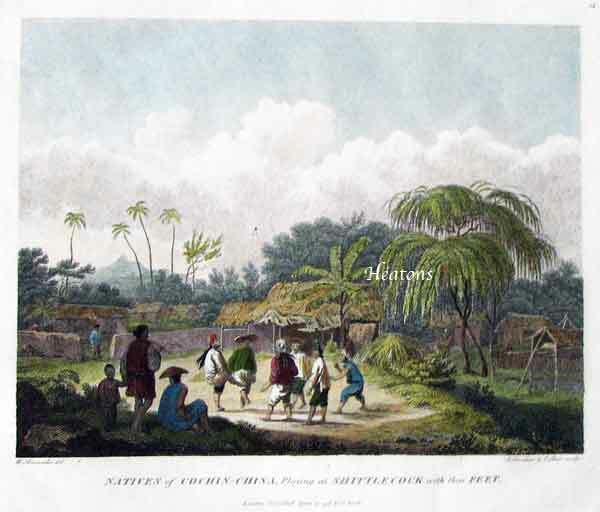 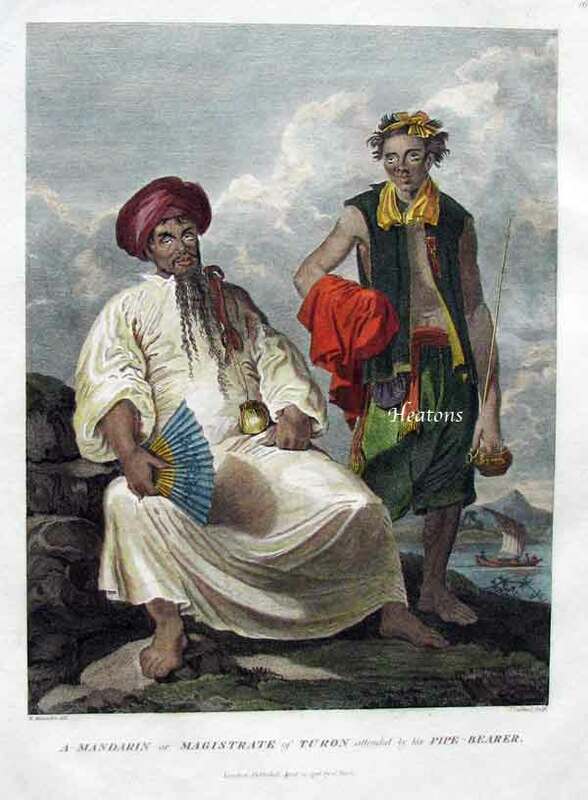 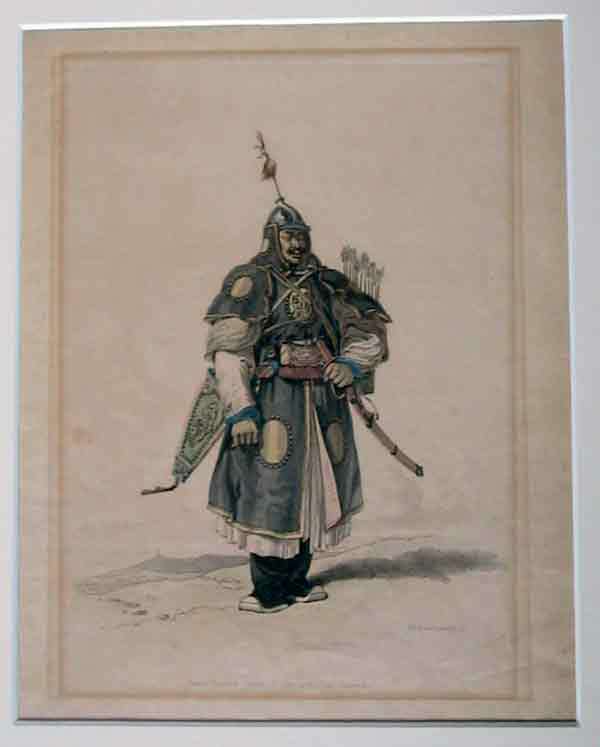 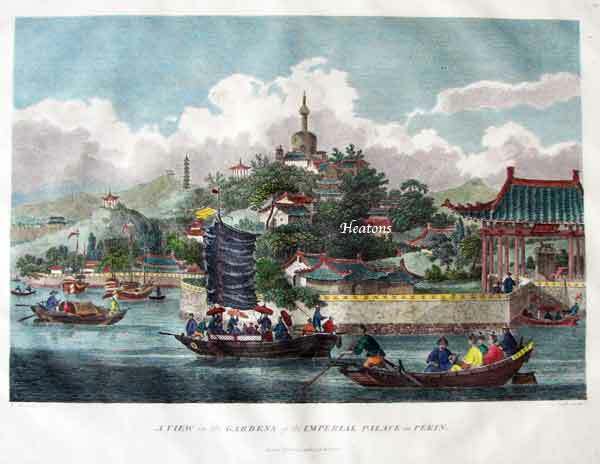 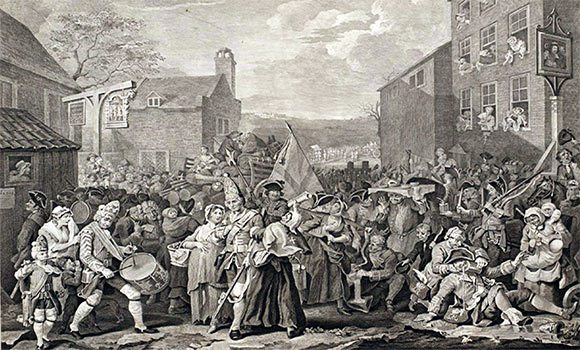 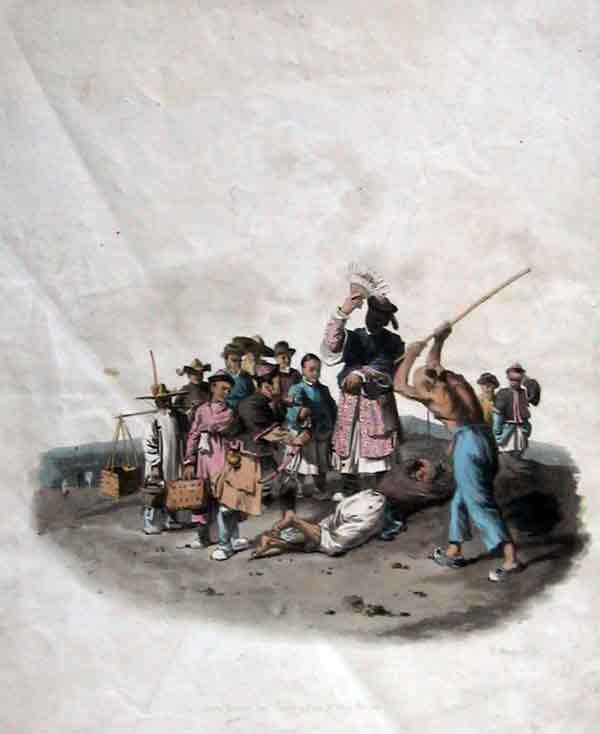 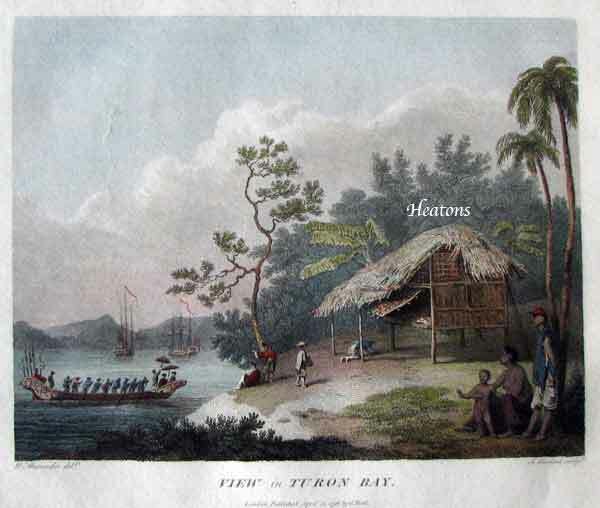 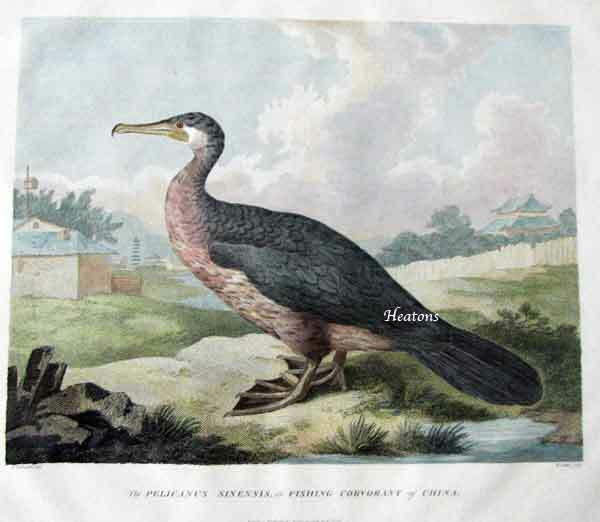 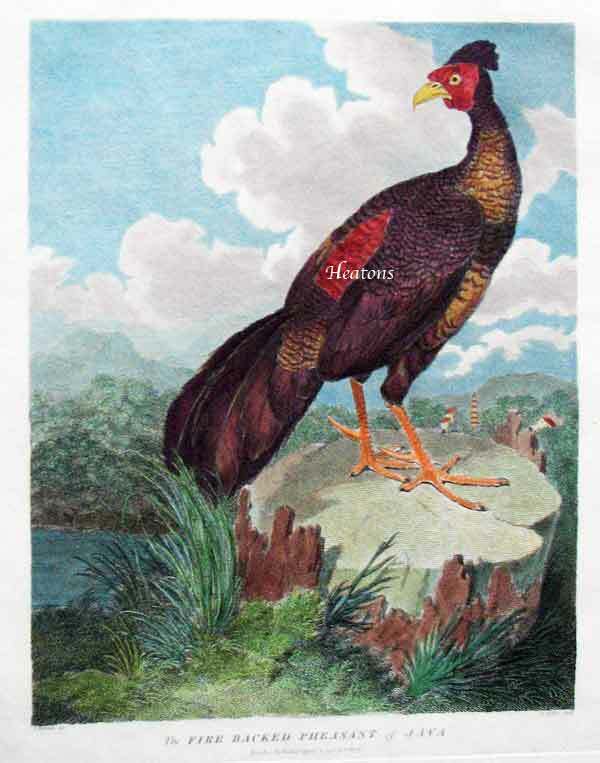 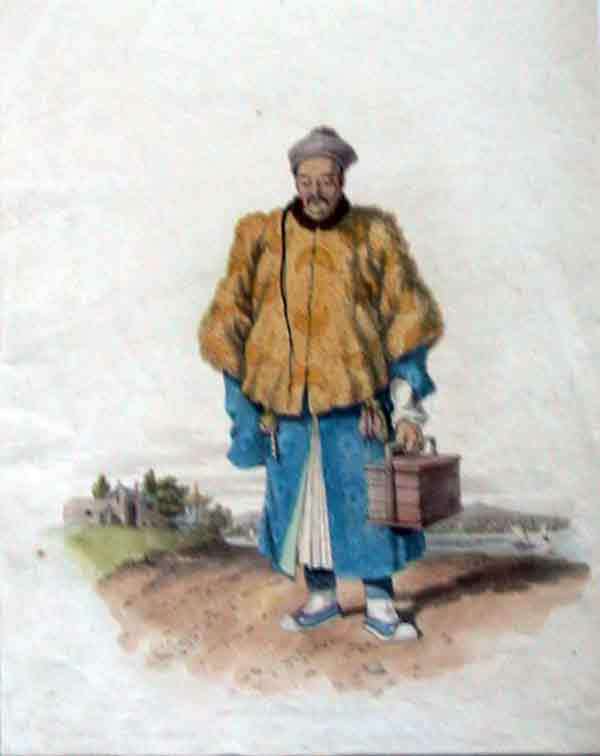 Here he made the drawings for the plates which accompany Sir George Staunton's account of that embassy; and afterwards published also The Costume of China, illustrated by ninety-six coloured engravings, (2 vols. 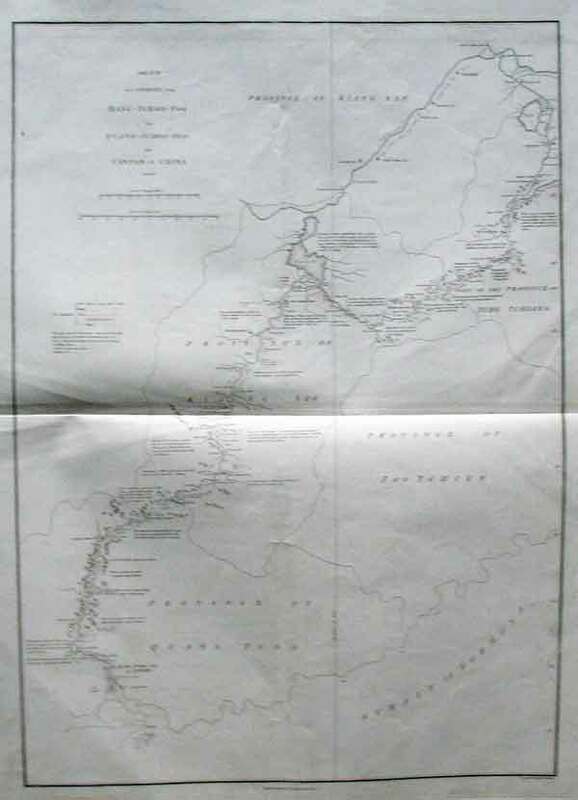 4to. 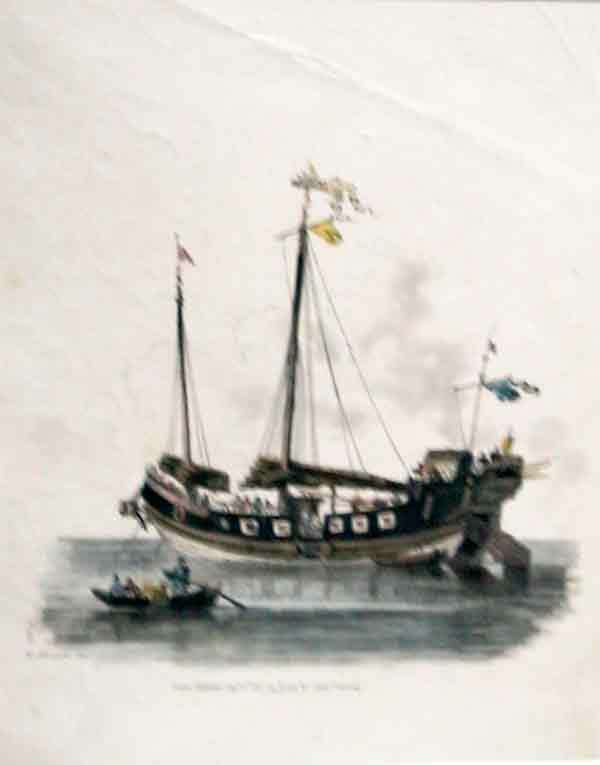 1805-1 815.) 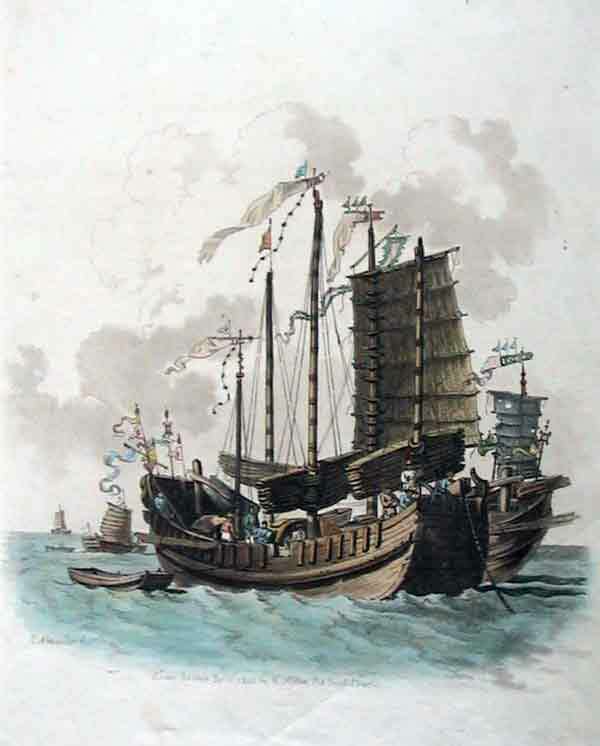 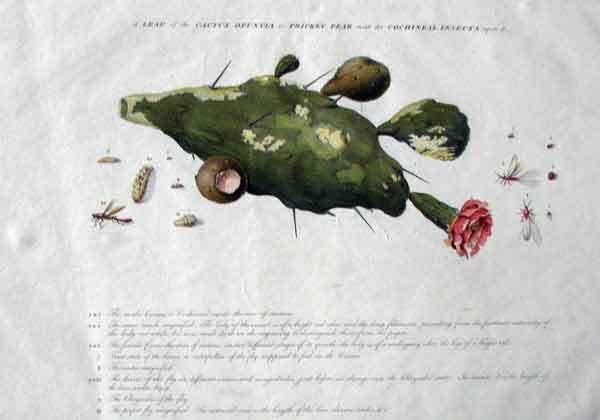 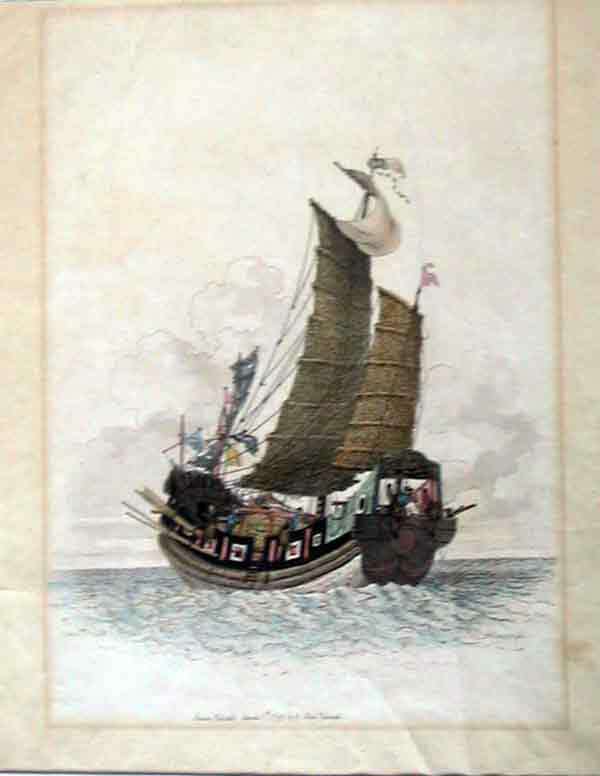 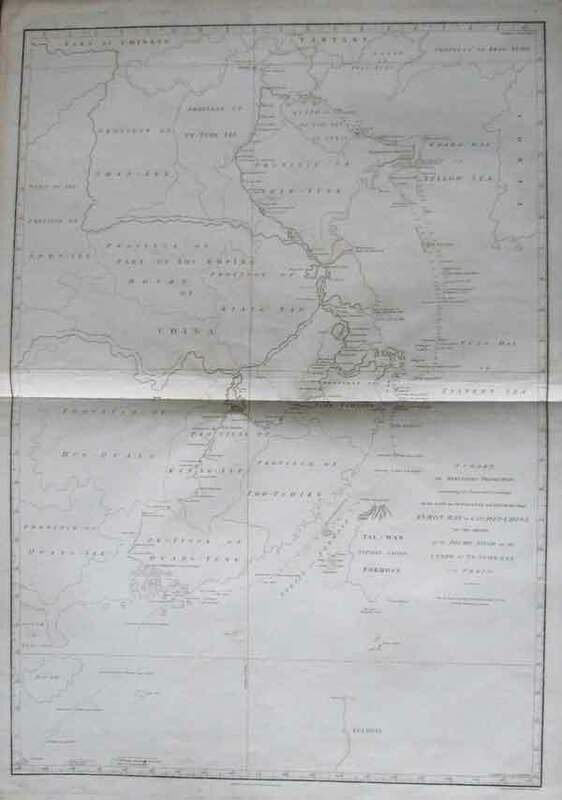 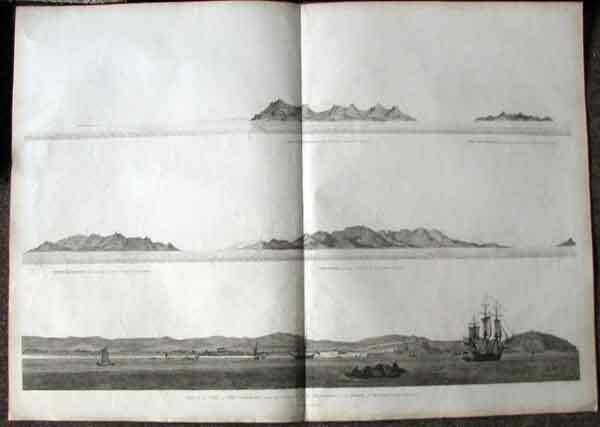 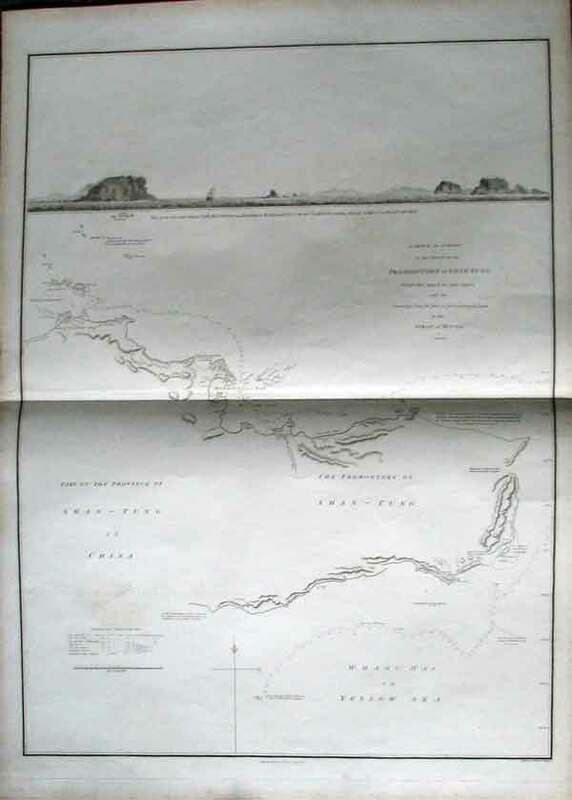 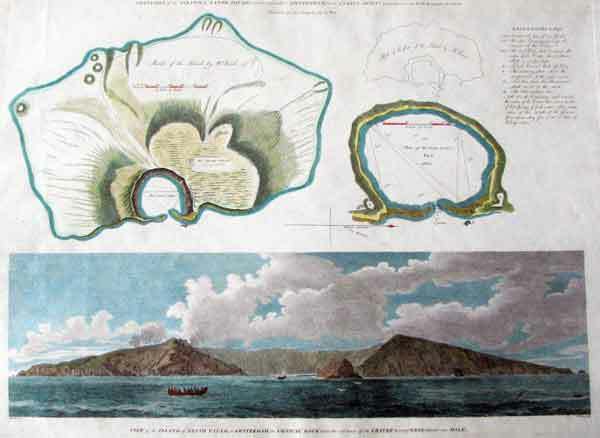 The other principal works of this artist were Views of Headlands, Islands, etc., taken during the Voyage to China, 1798; the drawings from Mr.Daniells's Sketches, for Vancouver's Voyage to the North Pacific Ocean, and the descriptive plates to Mr. Barrow's Travels in China, and Voyage to Cochin China. 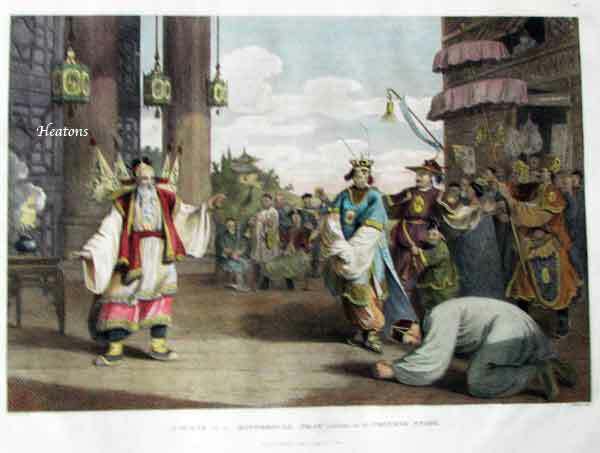 1.Sir George Leonard Staunton's An Authentic Account of an Embassy from the King of Great Britain to the Emperor of China. 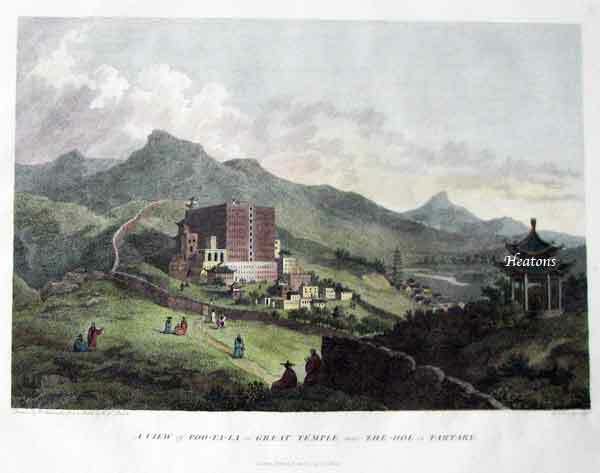 London: G. Nicol, 1796. 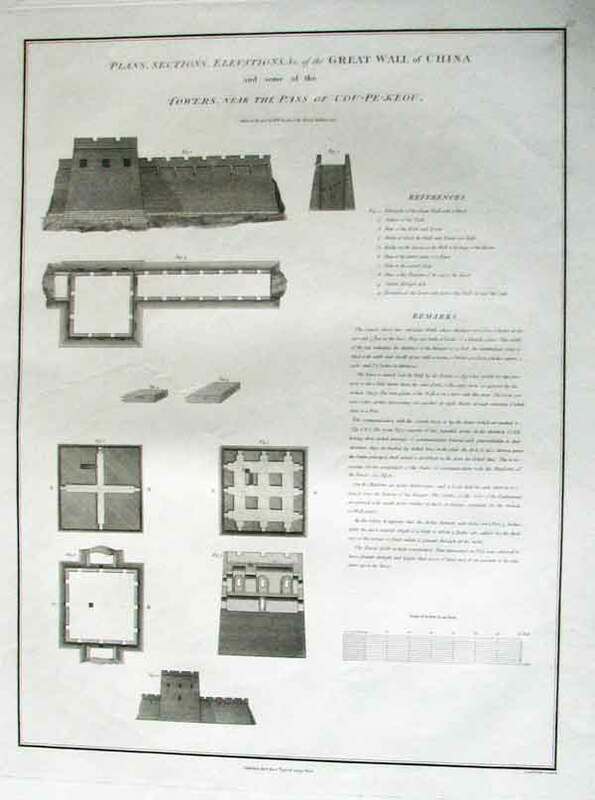 Folio and double folio: images vary, folio size 16 x 22. 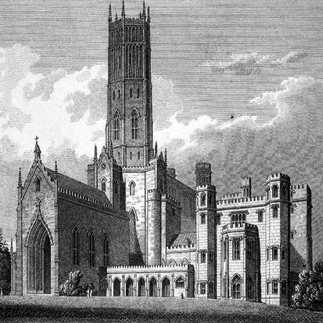 Engravings. 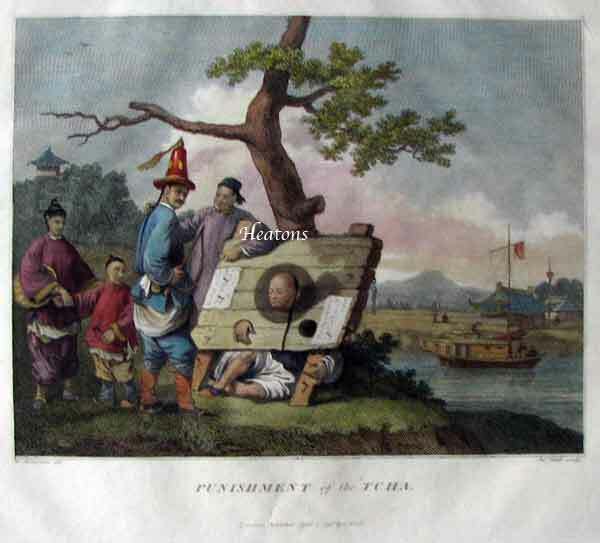 All very good condition.  unless stated otherwise. 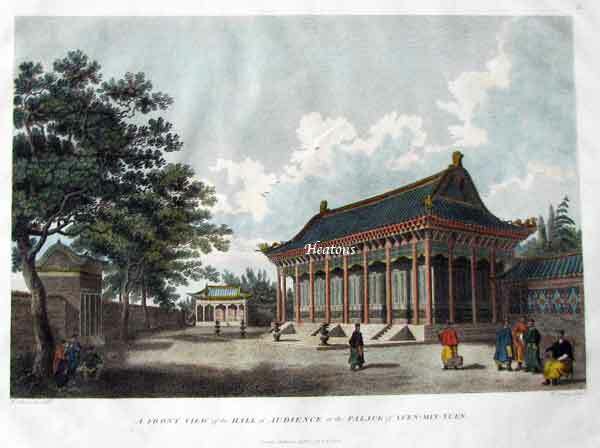 View of the Hall of Audience at the palace of Yuen-Min-Yuen." 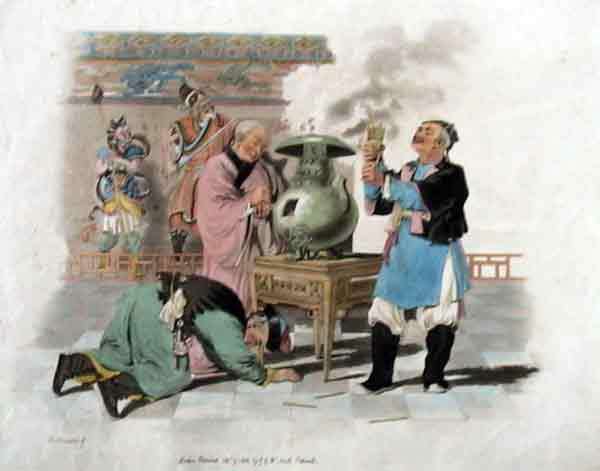 A Scene in an Historical Play exhibited on the Chinese Stage. 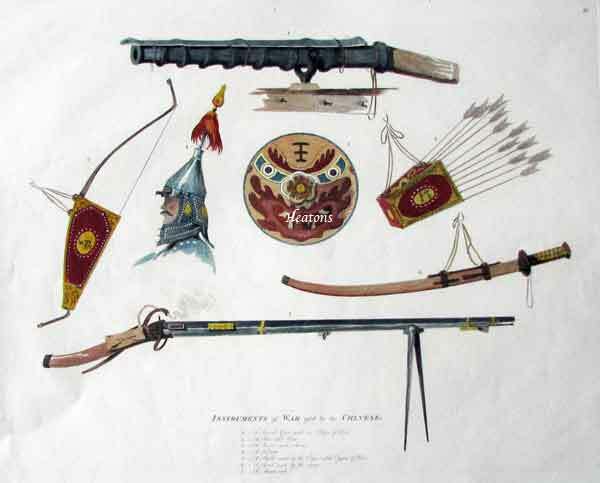 Instruments of War used by the Chinese." 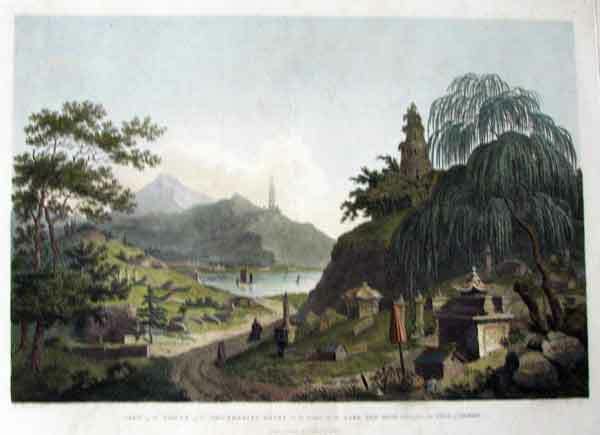 A View of Poo-Ta-La or Great Temple near Zhe-Hol in Tartary. 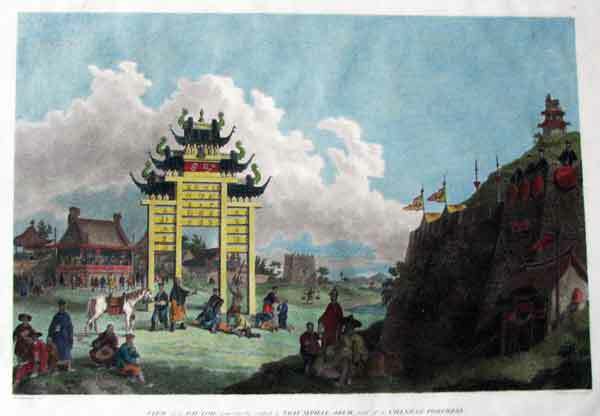 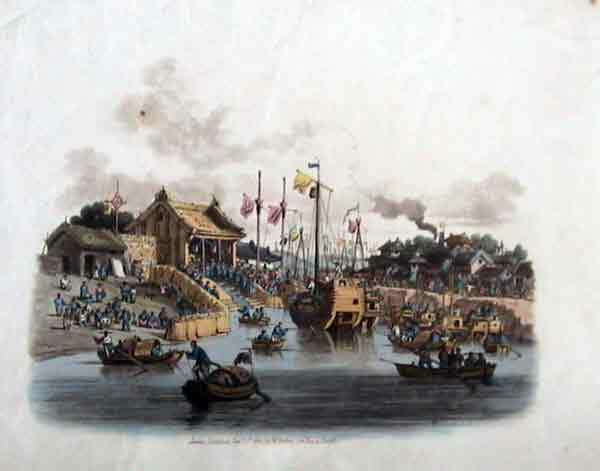 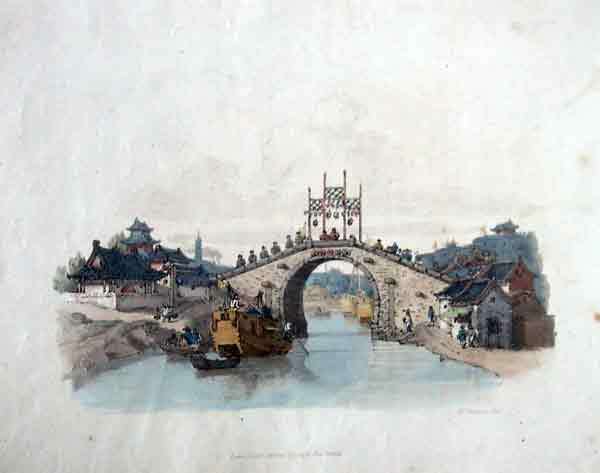 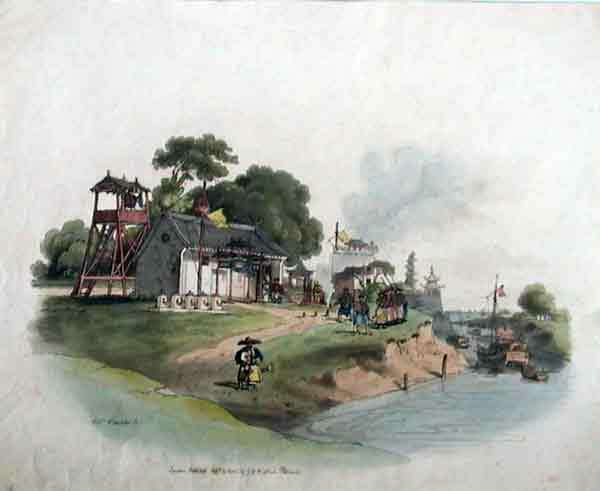 View of a Pai-Loo, improperly called a Triumphal Arch, and of a Chinese Fortress. 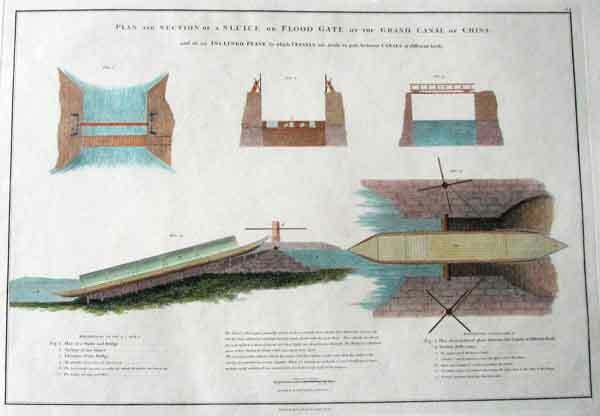 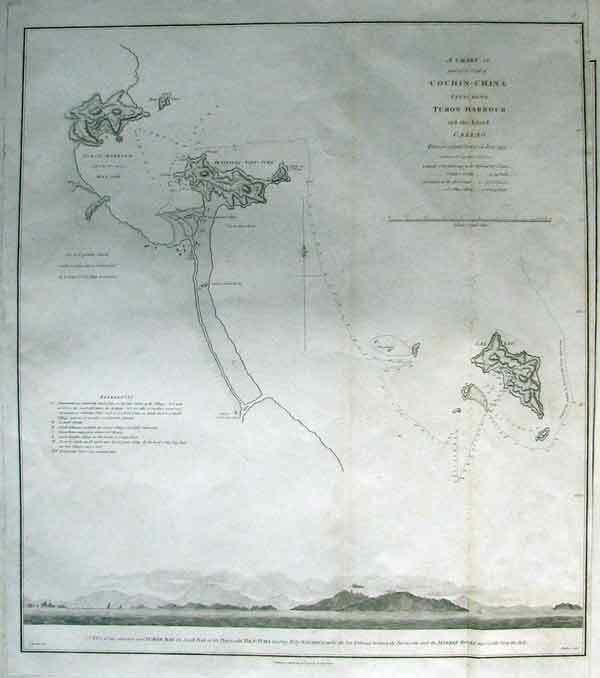 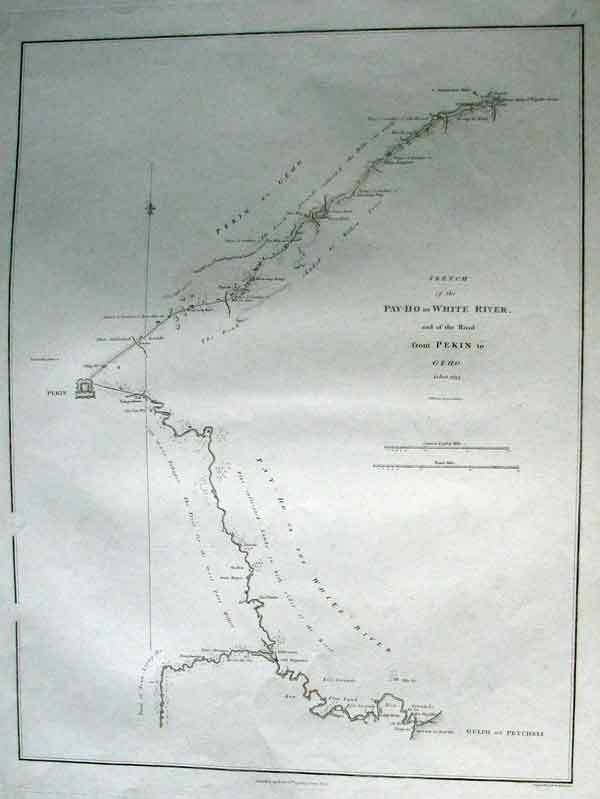 "Plan and Section of a Sluice or Flood Gate on the Grand Canal of China. 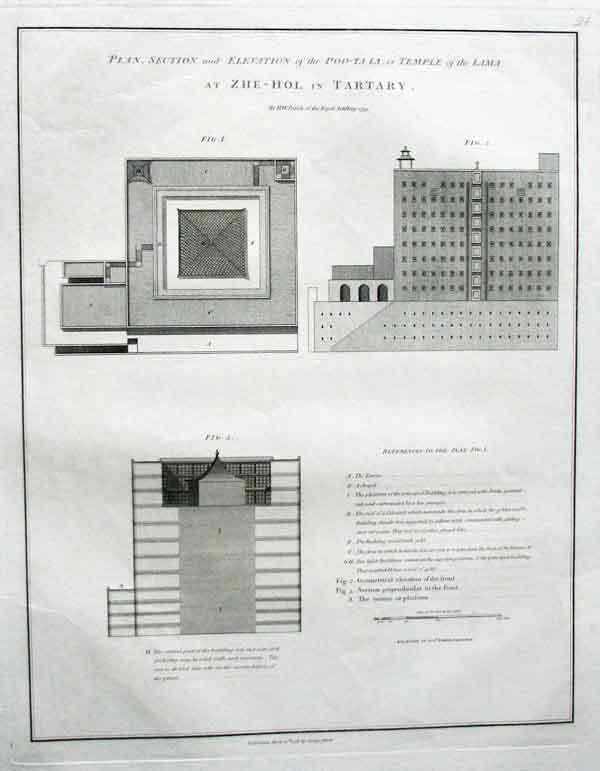 Plan, section and Elevation of the Poo-Ta-La, or Temple of the Lama at Zhe-Hol in Tartary. 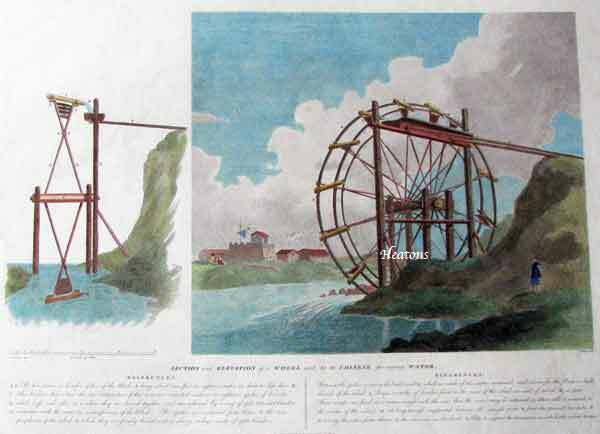 Section and elevation of a wheel used by the Chinese for raising water. 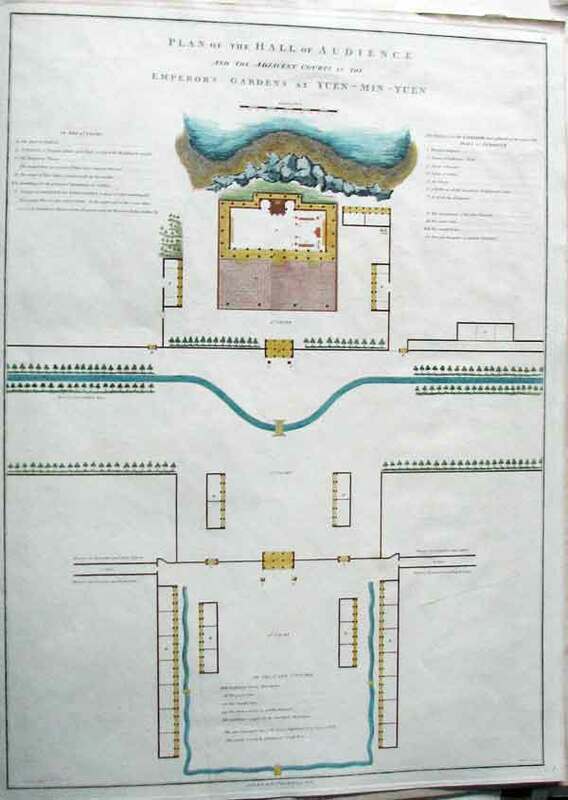 Plan of the Hall of Audience and the Adjacent Courts in the Emperor's Gardens at Yuen-Min-Yuen. 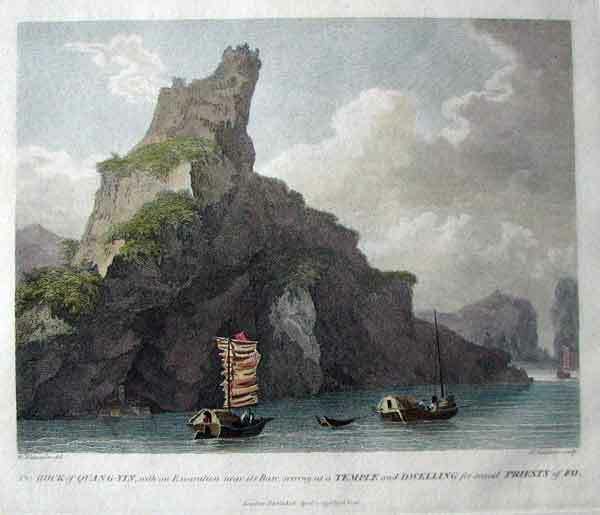 View of the Tower of the Thundering Winds on the borders of the Lake See-Hoo, taken from the Vale of Tombs.